While on Kauai, Joe and I went out for pasta one night and shared a tasty pesto pasta. 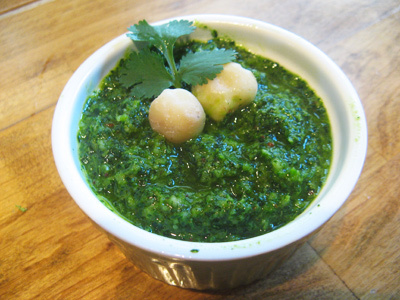 It was described as cilantro pesto with macadamia nuts and we thought it was terrific. 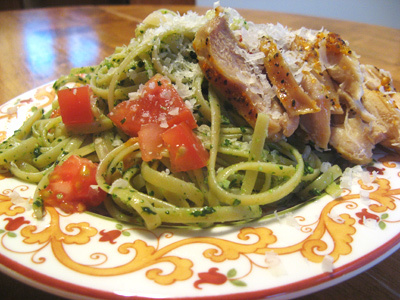 Being a pesto fanatic I had to come home and make my own version of this delicious dish. I added some fresh tomato and grilled chicken to make it a complete meal. I like linguine but you can use any pasta of choice. I cooked 3 chicken thighs which was good for 1 pound of pasta, plus some seasoned sea salt, olive oil, pesto and a couple roma tomatoes to top it off. Start with the pesto. 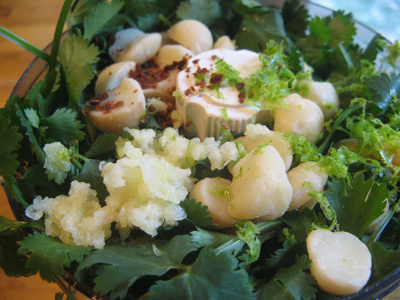 You’ll need one bunch of cilantro along with some garlic, macadamia nuts, parmigiano reggiano cheese, aleppo pepper, lime zest and juice and some chili flavored olive oil to spice it up. In a food processor, start adding your pesto ingredients. 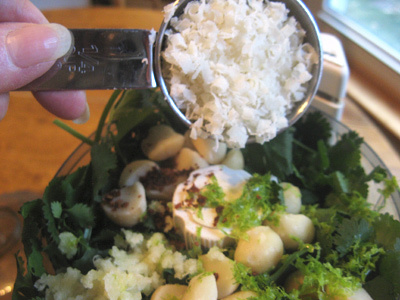 I started with the cilantro and macadamia nuts. Zest a teaspoon of lime along with a spritz of lime juice. And grate a couple cloves of garlic followed by 1/2 teaspoon aleppo pepper. Last but not least 1/4 cup parmegiano Reggiano cheese. Pulse the food processor a few times to get a rough chop, then start adding the chile olive oil. Add about 1/4 cup while processing to get the desired consistency. 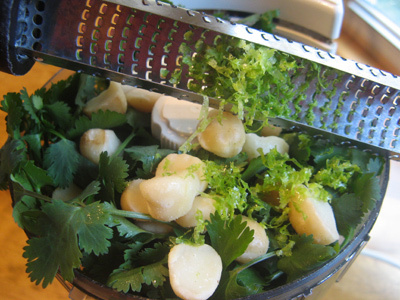 Depending on the amount of cilantro you have you may need to add additional olive oil to the mix. Salt to taste. Set aside or refrigerate. 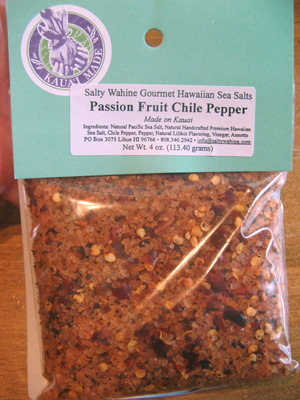 In Hawaii, we found several flavored salt blends that looked and sounded so good that I had to bring several home. I thought this mix of red sea salt with chile flakes and natural lilikoi flavoring (passion fruit) would season the chicken perfectly for the pasta dish. I think a good substitute would be a mix of sea salt with chile flakes. Sprinkle generously over the chicken on both sides. 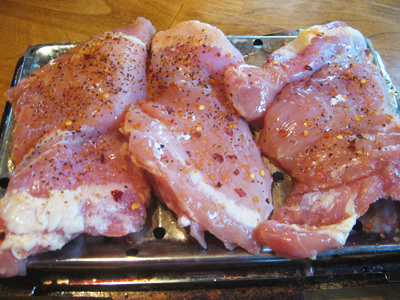 The weather didn’t permit for grilling outdoors so I cooked the chicken on a broiler pan. It worked out quite well. And drizzle with olive oil. Grill about 25 minutes or 25-30 minutes in a 425 degree oven. Cook the pasta according to package directions, drain and add about 1/2 cup of pesto. 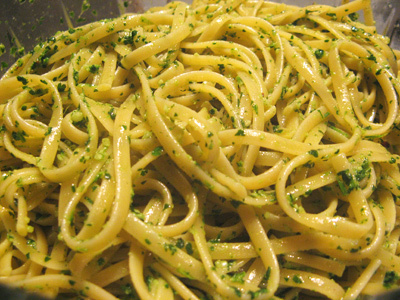 Using tongs, move pasta around to distribute pesto evenly. Top with some diced roma tomatoes, grilled chicken and some parmegiano reggiano cheese. So much flavor going on! 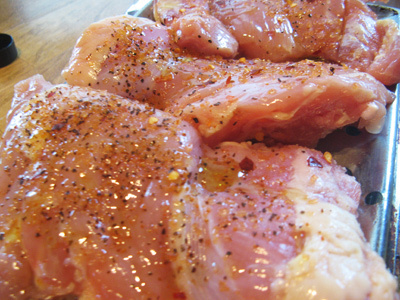 Prepare chicken by sprinkling both sides with sea salt blend. Drizzle with olive oil and place on hot grill for 25 minutes turning after 12 minutes. While chicken is on the grill, cook pasta according to package directions. Drain pasta and add about 1/2 cup cilantro pesto. 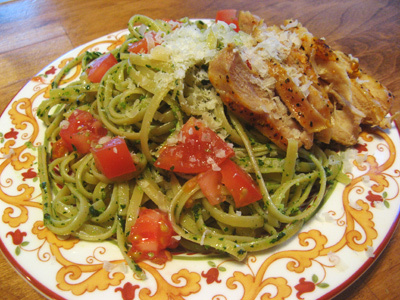 Distribute the pesto evenly throughout the pasta. 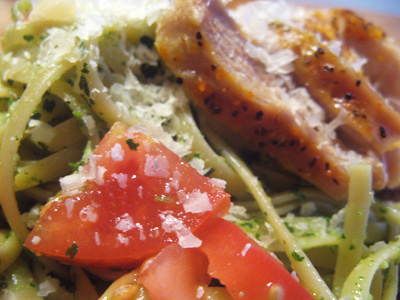 Top with grilled seasoned chicken, diced tomatoes and a sprinkle of parmegiano reggiano cheese. 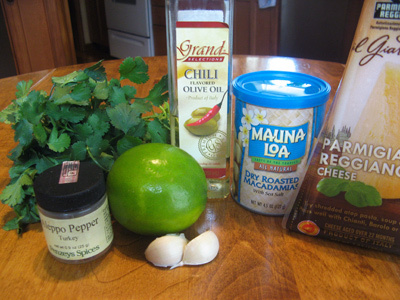 Combine all ingredients except olive oil in a food processor. Pulse a few times until you have a coarse rough chop. Start to add the olive oil while processing until you get a desired consistency. Salt to taste. Note** If you do not want a spicy pesto, substitute Extra Virgin Olive Oil in place of Chili Olive Oil. 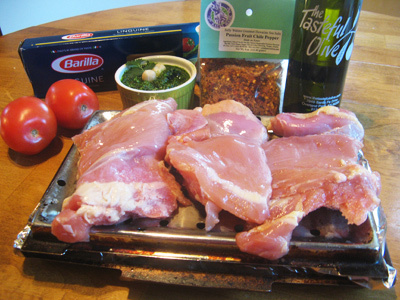 This sounds terrific – especially with the cilarntro pesto! Your dish sounds terrific. 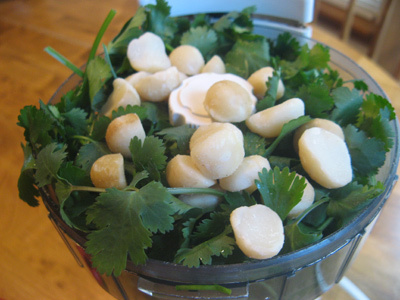 I love cilantro and can’t wait to use it to make your pesto. Wow the photos came out really fantastic on this post! I am too hungry now.